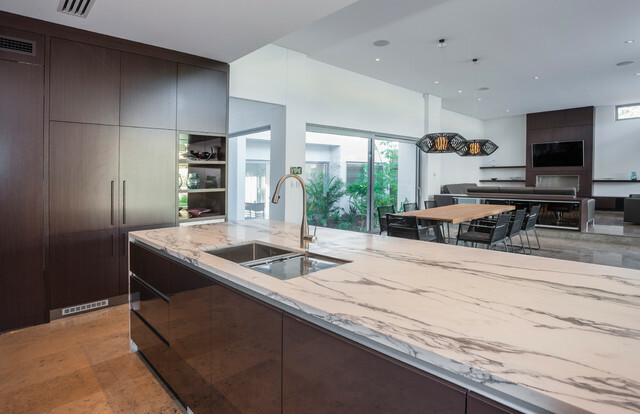 Interior shot of the kitchen and living area featuring a beautiful marble 80mm thick bench top in the kitchen. Feature lighting to dining room by Mobilia. Hi, what type of light fittings are over the dining table? Hi, these are Suspension pendants available at Mobilia, Claremont.